With 11 goals on 14 shots, he has 55% of his club’s goals this season and currently leads the Ligue 1 scoring charts. This is not Neymar, Kylian Mbappe, or Edinson Cavani, nor Florian Thauvin or Memphis Depay – this is Emiliano Sala, the Italian-Argentine striker playing his football with FC Nantes. Born ‘Emiliano Raúl Sala Taffarel’ in the province of Santa Fe, Sala began his football career in the Argentine city of San Francisco, Córdoba, with Club Escuela Proyecto Crecer. The player’s dream was similar to that of any other South American footballer and this ‘club’ assisted in making dreams like his come true – a move to Europe. Proyecto was not a real soccer school, more so an academy aimed at bringing footballers to France – specifically Bordeaux – and after scoring many goals for the academy, in 2010 he was given this chance. He took the leap of faith in moving away from his homeland, family, and friends, and arrived at FC Girondins de Bordeaux at the age of 20. However, making this jump would be easier said than done. It was the lowest point in his career. Sala went back to France, where he was determined to prove everyone wrong. 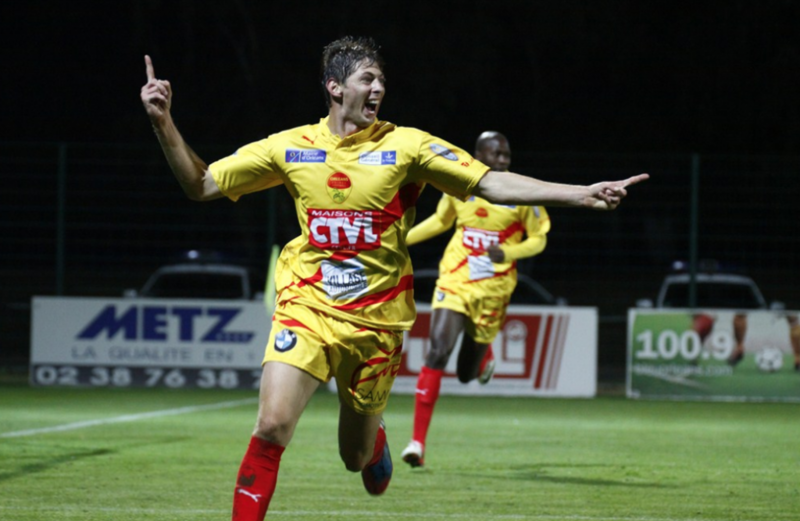 He was sent on loan to Union Sportive Orléans Loiret Football n the Championnat National, the third tier of French football. He broke onto the scene, becoming a regular starter and ended the season with 19 goals from 37 appearances. However, those numbers did not convince the higher-ups at Girondins, and the following season (2013/14), he was sent to Chamois Niortais in Ligue 2, where he scored 18 goals in the same number of appearances as the year before, including a splendid run of 12 goals in the last 12 games. Consistency? Goals? Sala was starting to show why Bordeaux brought him in as a teenager. He was finally given his chance to remain with the Ligue 1 side in 2014/15, but it would not be for long – he only made five starts in the first half of the season, and in January, he moved to recently promoted Stade Malherbe Caen on loan. He tallied five goals and one assist in 776 minutes of football. 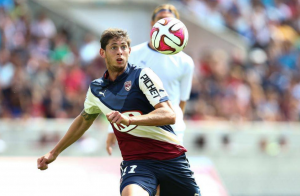 Although Sala had shown in flashes that he was capable of succeeding in France’s top flight, it was not until he left Bordeaux permanently that he became a valued first-team player in Ligue 1. 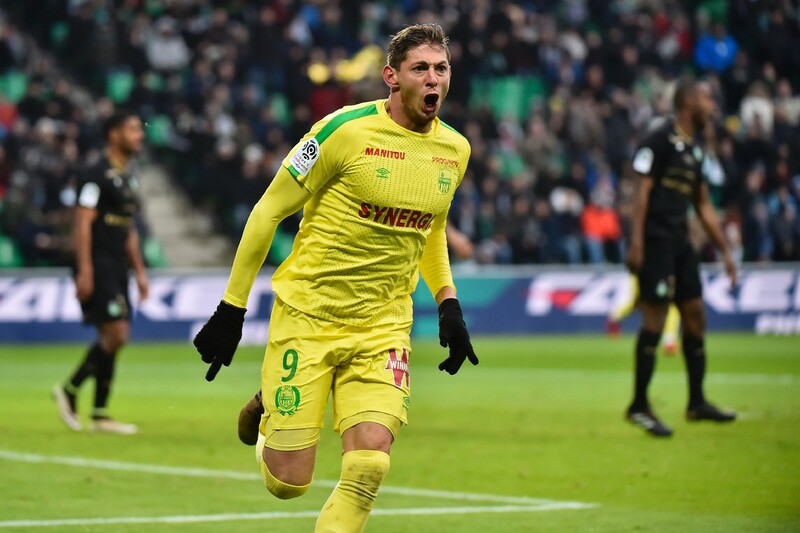 In 2015, Sala joined Nantes on a 5-year contract for €1m. Alongside manager Claudio Ranieri, and now former FC Nantes star Vahid Halilhodžić, he has become the heart of this team; since joining, Sala has scored 47 times while providing 11 assists in four seasons. A late bloomer, Sala has taken a while to adjust to Europe, but bit by bit, he has refined his game and become a more effective player with each passing year. In his first season at Nantes, he scored six goals and three assists in all competitions; the next season, he more than doubled those figures, with 15 goals and 5 assists. Under Claudio Ranieri last season, he continued to be a vital asset for Les Canaris, with 14 goals and 3 assists. In contrast, between Bordeaux’s four center forwards last season, they amassed just 15 goals in all competitions. This year, however, is special; many believe his success has finally arrived after a long struggle. Sala is not only highest-scoring Argentine in Europe’s top 5 leagues, with 11 goals, he is the top scorer in France alongside Kylian Mbappé. It wasn’t a given that Sala would explode for Nantes this season. 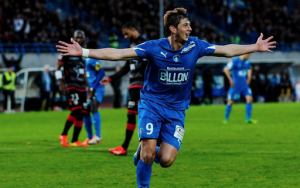 For one thing, Sala nearly left Pays de la Loire this summer, with Watford having a bid of €16.5m rejected. He stayed; now, the trick was adapting to new manager Miguel Cardoso’s style. Sala was the perfect battle axe for Ranieri’s style of play, latching onto second balls, winning aerial duels, and racking up a boatload of goals despite the Italian’s conservative system. Under Cardoso however, he would have to learn how to adapt. With the Portuguese manager’s possession-based, horizontal style, Sala would have to drop deep and combine with teammates, something he struggles with. He was even benched in two games, against Monaco and Caen, but both games, he came off the bench to score. Having amassed six points in eight matches, and with Nantes mired in the relegation zone, Cardoso was sacked on October 2, and replaced with Vahid Halilhodžić. In their first home match under Halilhodžić, Sala scored a hat-trick. After losing their first match under the Bosnian manager, Nantes won four straight matches and drew the fifth, catapulting up to 10th in the table. They scored 15 goals during those five matches; Sala has scored 8 of those 15. Just from looking at him, you automatically know that Sala’s height is one of his main attributes. Standing at 1.87 meters, the player is brilliant in the air. He constantly finds himself situated in the 18-yard box between defenders, and when a ball is whipped in, he latches onto it most of the time with precision. Hand in hand, his strength and size allow him to get into these positions and hold his ground. Although his sprint speed may not be the fastest, his acceleration is, as he often beats defenders when making a run behind them. This is all thanks to his long strides, which catch defenders off guard. Both of the aforementioned attributes lead to finishing – an ability Sala clearly does not lack. He has taken his scoring abilities into full force this season, netting 13 goals in 14 matches so far in all competitions (side note: just three of these goals have been from the penalty spot). With just 23 shots in total taken this season, you can see how when the striker is given a chance, he puts the ball in the back of the net. Another quality in Sala is his penalty kick ability. Keeping a cool and composed head in tense situations, he has converted 16 of 18 from the spot: six in Ligue 2 and 10 in Ligue 1 since the 2013/14 season. This is a testament to his leadership within each side he has played for; he always steps up and spearheads the attack, as the talisman of the team. He’s reliable too, rarely falling prey to injury and almost always being available for his side. 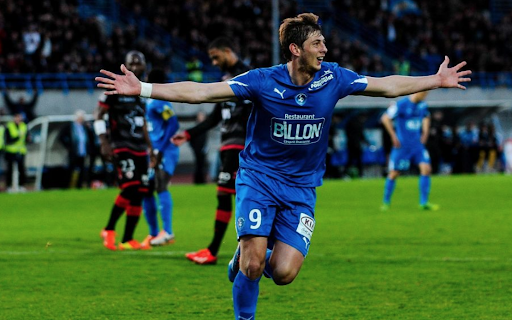 From being rejected by clubs in Italy’s third division to being the top scorer in France’s top flight, Emiliano Sala has come leaps and bounds in 28 years. He’ll keep fighting to improve just as he continues to fight to win aerial duels and latch onto crosses.